Every sales person loves a “bluebird.” Those are those orders that suddenly appear, we didn’t know about them, they weren’t in our pipeline, but every once in a while the Earth, Moon, Sun and Stars align and a customer wants to buy, without our ever being involved. Bluebirds happen, we gladly accept the order and proclaim victory when they happen. Bluebirds are parts of what happens with every sales person and in every territory. However, we can’t build a plan based on bluebirds. If we did, our plan is pure wishful thinking. As sales professionals it is our responsibility to maximize our revenue, share, and growth within the territory. We establish account and territory plans to help us do this. With marketing, we drive demand generation programs and we prospect–all aimed at identifying and qualifying a sufficient number of opportunities to fill our pipelines. We develop deal strategies focused on maximizing our ability to win those qualified deals. It’s an endless cycle, we continually have to assess what we are doing in each area in developing our overall business plan. We continually look to improve our effectiveness and sharpen our impact in each area–leaving less to chance. “Run rate” business is different from a bluebird. We know what causes run rate business, we know how to forecast it, how to drive it–even though we may not be able to predict every transaction. Run rate business is manageable and we must include how we will manage it as part of our plan. Our responsibility to ourselves, our managers, our company and colleagues is to build a plan that enables us to achieve our goals. Because, everything doesn’t always work as planned, for example, we never close 100% of the deals in our pipelines, we have to over plan–that is we have to qualify more opportunities than needed to close to have a healthy pipeline. This ripples through everything we do–prospecting, marketing programs, account and territory plans. But it’s our responsibility to take all these things into account, not leaving things to chance or counting on luck. 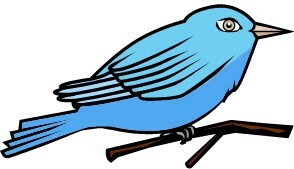 When luck happens, when we get a bluebird, that’s great–it gives us a little buffer or breathing room. It helps us overachieve our goals. But “luck” can favor the competition just as well, luck isn’t something we can predict or forecast. We can’t assign a 10%, 50%, 85% probability to luck! So if we are to achieve our goals, we have to have a plan that doesn’t count on bluebirds or luck. Yes, I know there is a lot of “stuff” about “making our own luck,” but that still requires planning and execution–the only problem is you can’t forecast it. Celebrate your bluebirds, they’re great, but build and execute a plan. What’s The Purpose Of Account Planning? Closing The Gap–Achieving Our Goals! My plan always has a line that says, (nebulously) “new business”, which is usually a 6-10% growth target. It’s a stretch goal, and at the start of the year I have no idea where it will come from. Diligence and execution sometimes allow you to be the right guy in the right spot at the right moment to get the Blue Bird. And they certainly help me reach the promised land. But no, you can’t base your attack plan on Blue Birds. You have to nurture and nourish and train your flock of Pigeons to make them the homing variety, so they will come home to roost.